After hitting level 5 on Pokemon GO, we all had a choice to make. Which team would we join? Inevitably, we had different factions of friends pulling us toward different ones. And if you didn’t have a favorite friend, then you were going to have to pick one for yourself. From what I could tell, Valor was for the try-hards, Mystic was for the egg-heads, and Instinct was the house for everyone else. Now these teams have fully realized leaders that pretty much prove my assumptions. 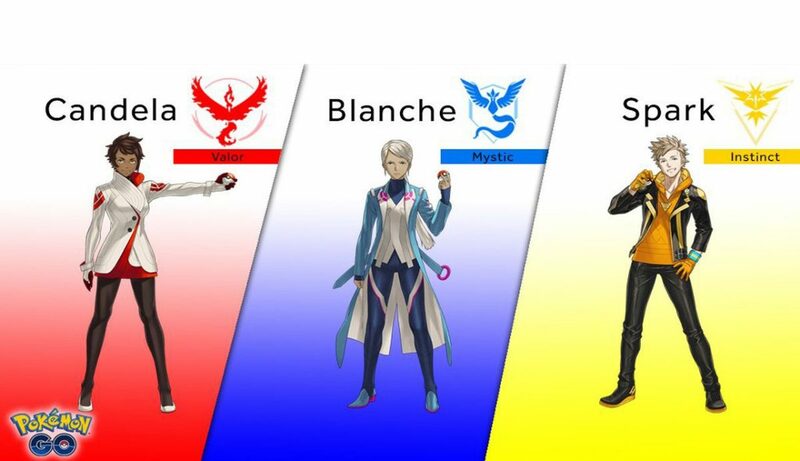 Candela stands for Team Valor, Blanche for Mystic, and Spark for Instinct. As far as I can tell, Blanche is the only real name among them, but I could be wrong on that. Each leader has been appropriately praised and mocked on the internet already. However, it is good to put a name to the leaders. If you're anything like me, you've found yourself tossing so many pokeballs righ..
Niantic has been extremely busy lately. Pokemon GO has been a massive ..